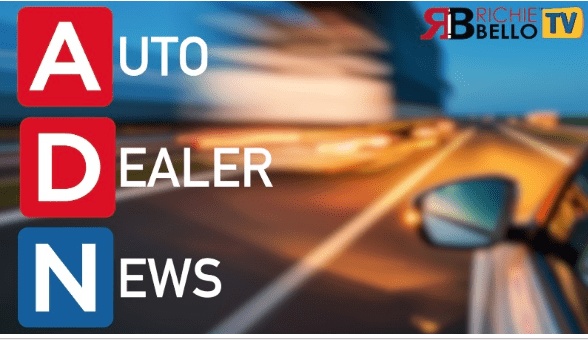 What is it Like to be Interviewed by Richie Bello for Auto Dealer News? 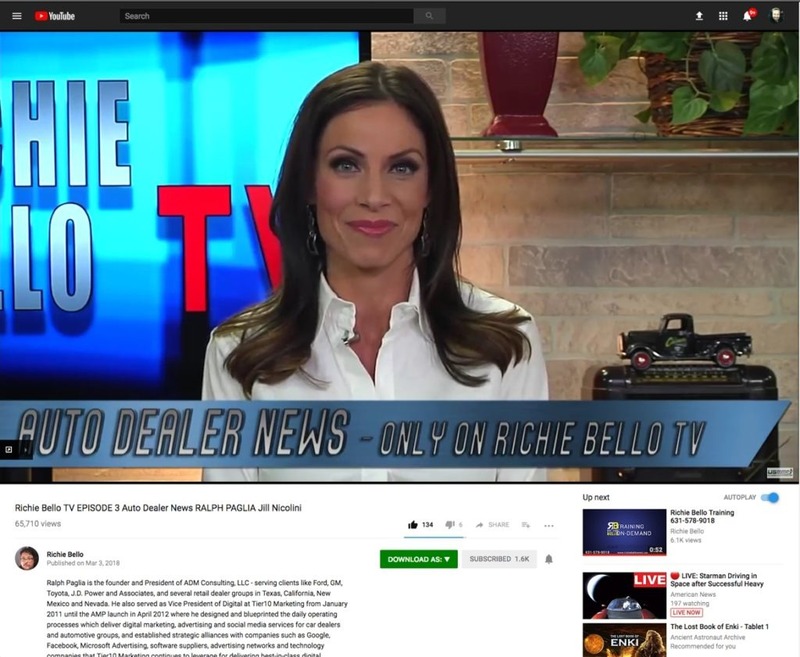 What is it Like to be Interviewed by Richie Bello for the Auto Dealer News Channel? A few months ago I received a message via Facebook Messenger from some guy who said his name was “Richie Bello”… I did not immediately recognize the name, but it sure sounded familiar. After a few web and database searches revealed and reminded me, I realized that my first exposure to Richie was many years ago when he worked for the R.L. Polk company, which aggregates data and then powers the marketing activities of car dealers, usually via third party data mining apps. Upon further investigation, I also discovered that Richie Bello was a Reynolds SalesVision “Power User” when I was first brought into the Reynolds Dayton headquarters to work with the “Contact Management” CRM development team. At that time (2000-2001), I was told to study what Richie Bello was doing in SalesVision at a Nissan dealership. The goal was to ensure that his success with SalesVision could be duplicated using the Contact Management CRM software being developed at Reynolds and Reynolds… Which was what Reynolds was in a serious rush to launch and replace the disastrous DealerKid software. At any rate, I soon realized that this Bello guy had been working in the car business for at least 20 years that I was personally and directly aware of. 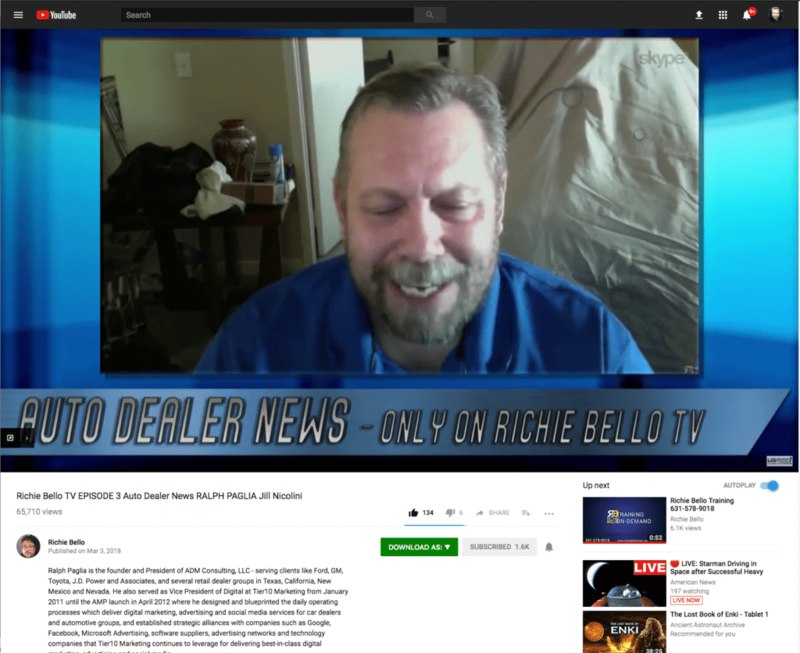 After he hounded me for awhile, I finally relented and agreed to be interviewed by Richie Bello for his weekly video broadcast called, “Auto Dealer News” (ADN) which is produced in the Richie Bello TV studios in New York. Let me clarify something right up front… Not everything I heard and read about Richie Bello was positive. I spoke to suppliers who told me they had never been paid for services supplied to Richie Bello, and I heard from at least two people that I respect and trust that Richie Bello should not be trusted as a business associate. One thing I learned quite a few years ago was that you are better served by forming your own opinions and direct dealings with somebody than making decisions solely based on what others say about a potential business associate. So, I tucked the negative feedback I received into the back of my mind and proceeded forward with caution. I am happy to report that after invoicing Richie Bello no less than 5 times since January, every invoice has been paid within 5 days or less after his company received my bill. Meanwhile, one of those other creditors (who warned me that Richie Bello was not paying suppliers) has a $500 invoice that was sent to him in January for work he asked me to do, which I completed, and which remains unpaid at 45 days past the due date. As far as I am concerned, Richie Bello pays his bills better than any other company I have done business with. I will be the first to admit that my interview by Richie Bello and the introduction I received from Jill Nicolini blew me away with their high levels of professionalism and quality of execution. You can watch my first interview with Richie at https://youtu.be/USKbGiAcu3o and dozens of other networks that Richie uses to syndicate his interviews. Since my interview with Richie Bello I have learned that he spends between $750 and $1,000 buying Google Adwords Pay-Per-Click advertising placements within YouTube each week to drive traffic for the video interview recorded during the preceding week. This guarantees far more traffic and visibility to the interview and the person who is the subject of that interview. I have personally received over a dozen calls from people in the car business who came across the video of my interview with Richie Bello. For those who are fortunate enough to receive an invitation to appear as a guest on Richie Bello’s ADN show, I wholeheartedly recommend they accept. In hindsight, I am guilty of behaving like a prima donna for Richie’s show producer. I cancelled twice and protested over the potential for issues that had not yet happened, and never did. If you read this Richie, I apologize for my fussiness and unnecessary questions. Everybody on Richie’s team that I dealt with were highly skilled professionals who knew their jobs and executed quickly and efficiently. I was positively impressed with the way everything was taken care of before, during and after my interview. I should have shaved and started over. As of the time I wrote this article, my interview by Richie Bello has been viewed over 65,000 times and has received over 135 “Likes”. That makes this interview video one of the Top 5 most watched videos of any kind that I have been in… To put that into perspective, I have been prominently shown in over a thousand videos since starting my career in the car business. 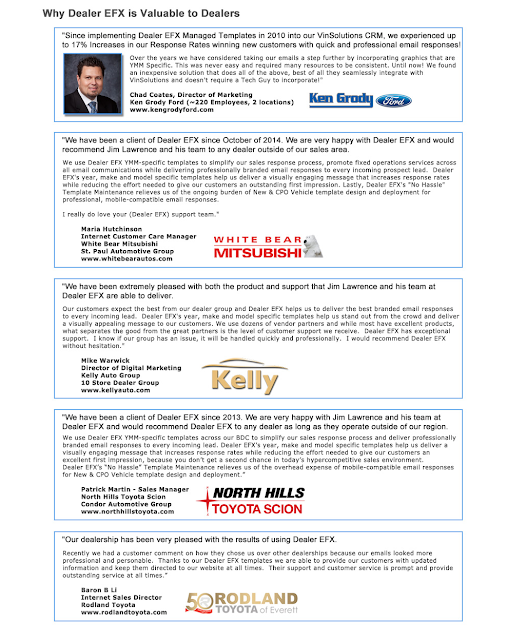 His team's ability to get more car people to watch these interviews is one of many reasons I am giving Richie Bello my highest endorsement and recommendation for anyone considering being interviewed by him for the Auto Dealer Network broadcast. 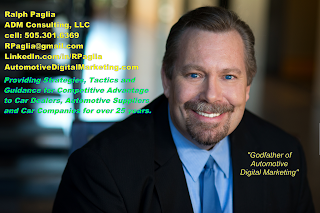 Automotive Executive with over 20 years of experience in developing, designing, marketing, selling and delivering a variety of digital marketing technologies and professional services focused on enhanced marketing, sales and business process implementation. Experienced leader of OEM sponsored digital marketing, advertising, Customer Relationship Management (CRM) and sales performance projects. Throughout his career, Paglia has demonstrated and been recognized as an industry leader in digital marketing, content marketing and channel development, concept presentation, internal and external consensus building, market research analysis, resource management, organizational development, strategic planning and business development, along with tactical technology implementation.